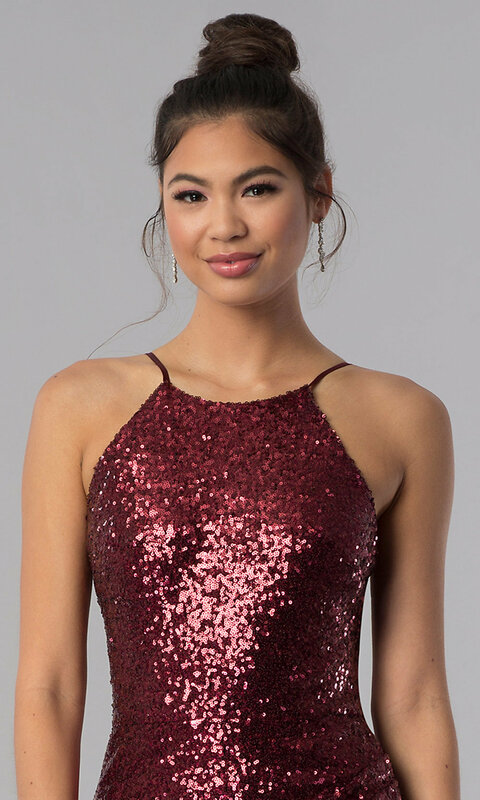 Showcase your sparkle in this burgundy red short homecoming dress from the designers at Bee Darlin. With shimmering sequins from the high scoop neckline to the short hem, this beautiful party dress is sure to turn heads at your semi-formal event. Thin spaghetti straps adjust for a comfortable fit as they stretch over the shoulder to connect with a horizontal band across the open back. Totally unique, the short faux-wrap skirt drapes from one side to flatter the figure. Asymmetrical ruching flows across the front to create the tulip-style hemline on the curve-hugging junior-size semi-formal dress. 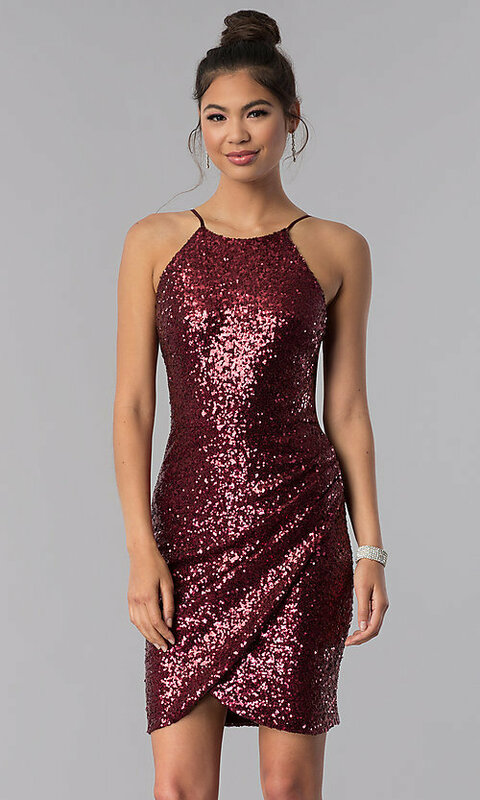 Under $100, this dazzling short burgundy red homecoming dress presents a one-of-a-kind look for cocktail parties, wedding receptions, and hoco 2019.